Whether you’re searching for a gift for mum, dad, the kids, the grandparents or that special someone, Adelaide Oval has a unique range of gifts that are sure to impress. The ideal present for sport lovers or history enthusiasts, an Adelaide Oval Stadium Tour gift card offers visitors the chance to go behind the scenes of this iconic venue. 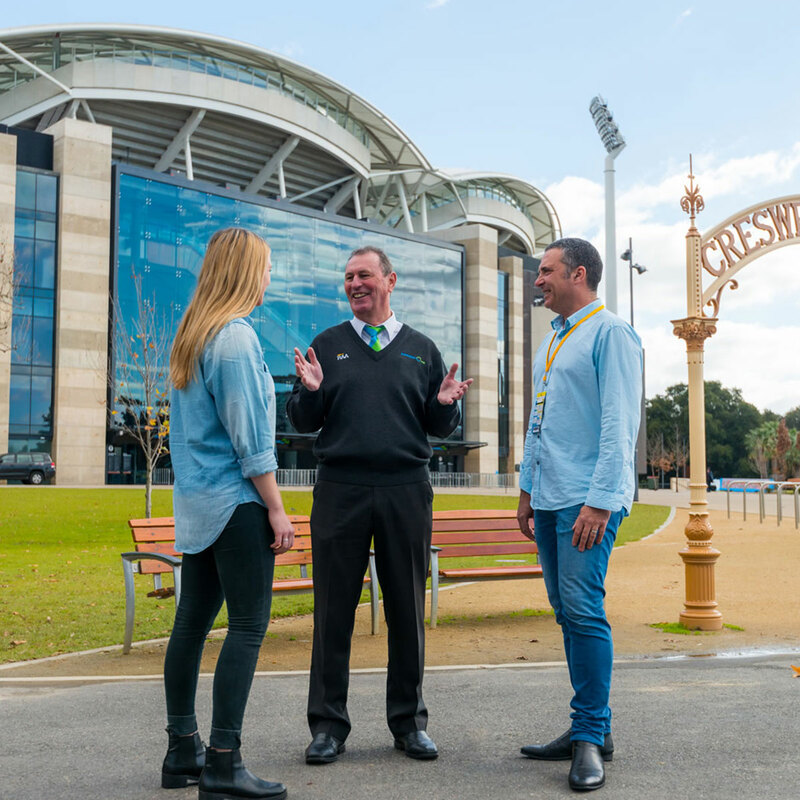 Let by expert guides, they will learn more about the heritage and significance of Adelaide Oval while exploring a number of areas that are usually inaccessible, including the century-old scoreboard, the players’ changerooms and many more. Finding the perfect gift can be tricky, so instead of buying another pair of socks they don’t need or book they won’t read, give the gift of adventure with a RoofClimb gift card. Guaranteed to be an experience they’ll remember for a lifetime – and they won’t forget the person who gave it to them either! Gift cards are available for Day, Twilight and Night climbs, or if you’re looking to take things up a notch, why not spoil them with a Climb & Dine gift card. 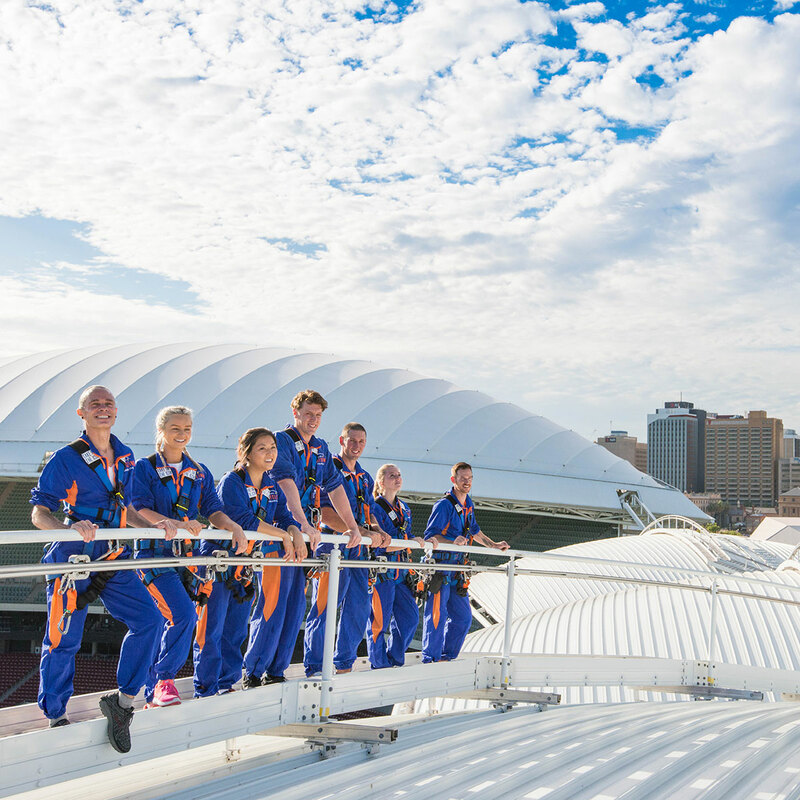 This includes a RoofClimb adventure followed by an indulgent dinner or lunch at Hill of Grace Restaurant overlooking Adelaide Oval.